If you’re a Millennial or younger, this term makes sense. Adulting, to adult, adult-ish are the terms we bring when we talk about what most would consider “adult” responsibilities. 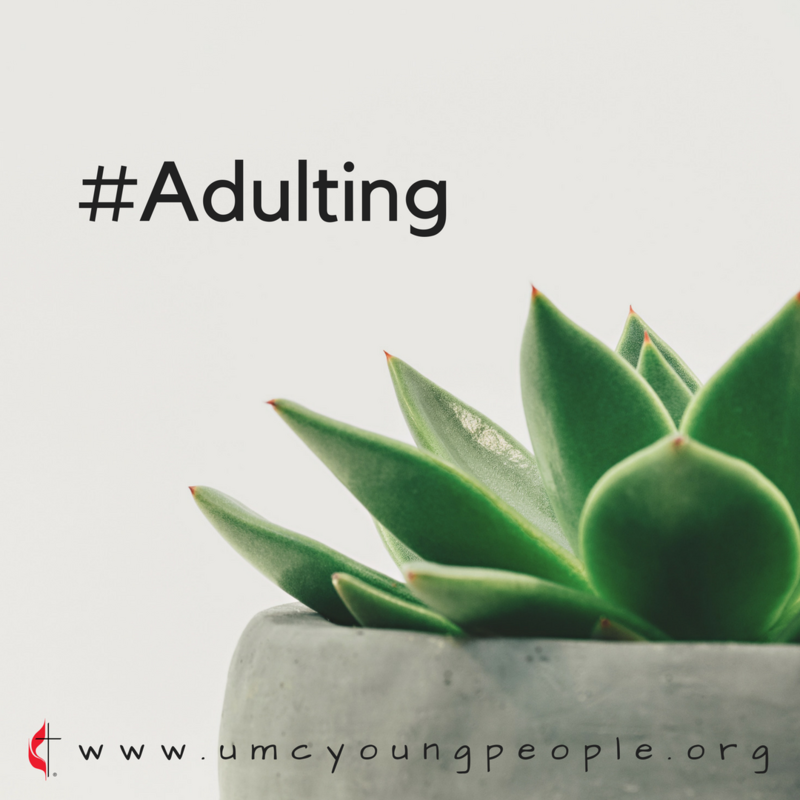 Merriam Webster defines the term adulting as: to behave like an adult, specifically to do the things—often mundane—that an adult is expected to do. This reinvention of language is interesting to me, especially as an English major. But perhaps this term strikes me because I too am a millennial struggling with what it means to be an adult. What is it about adulthood that we feel we haven’t accomplished yet? I have to ask, why don’t I consider myself an adult? Is it because I still pester my mom for advice? Is it because I don’t do the dishes as often as I should? Is it because I still consider crackers and cheese a good substitute for dinner? What responsibilities would I claim if I called myself an adult? What responsibilities would I claim if I called myself a Christian? Now, it’s easy enough to say that going to church and reading the Bible are some of those things we would call “responsibilities” of being a Christian. But maybe, like vegetables and bills, these are the superficial responsibilities. Necessary, but not the things that make us a Christian. I am convinced that both being and adult and a Christian have something in common. You cannot be an adult unless you choose to act like one. You cannot be a Christian unless you choose to act like one. It is less about feeling like a Christian but more about doing what a Christian should do. What would Jesus do? The beauty is that we don’t have to have it entirely figured out in order to put our faith into action! The same goes for adulting. Jesus himself said, “A new command I give you: Love one another. As I have loved you, so you must love one another. By this everyone will know that you are my disciples, if you love one another” (John 13:34-35). Thankfully, Christianity isn’t about accomplishments, but faithfulness. Thankfully, Christianity isn’t about the religious, but the relationship. Thankfully, there is grace while we try to figure out what exactly Jesus calls us to do. And thankfully, most of it can be summed up so simply. Love God, love others. So how are you going to choose to live today? Me? I’m going to go be an adult and do my dishes. Discussion question: How are you putting your faith into action today? What does that look like for you?